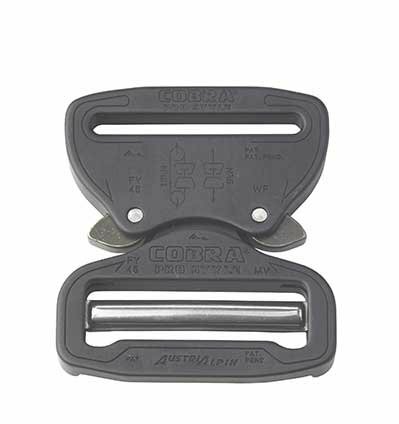 Single side adjustable quick release buckle. 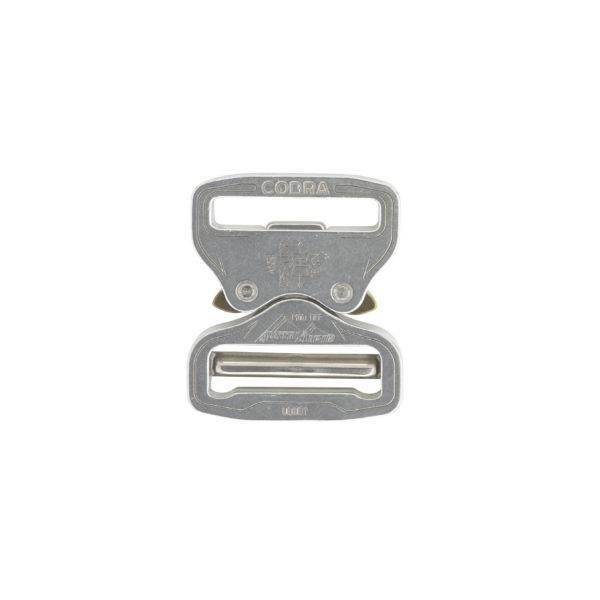 Available for different width webbings and with different coatings. 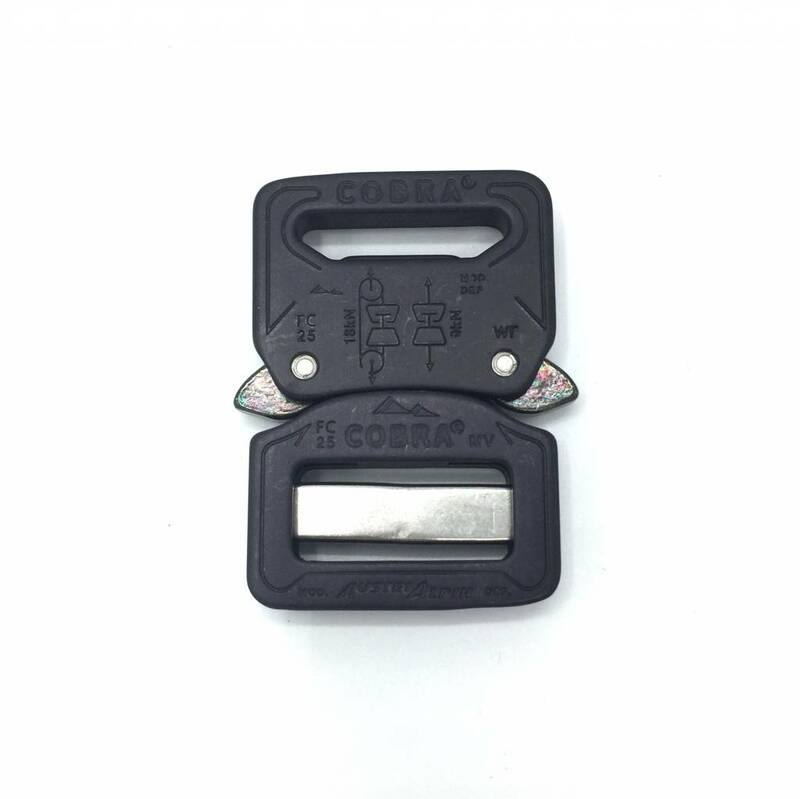 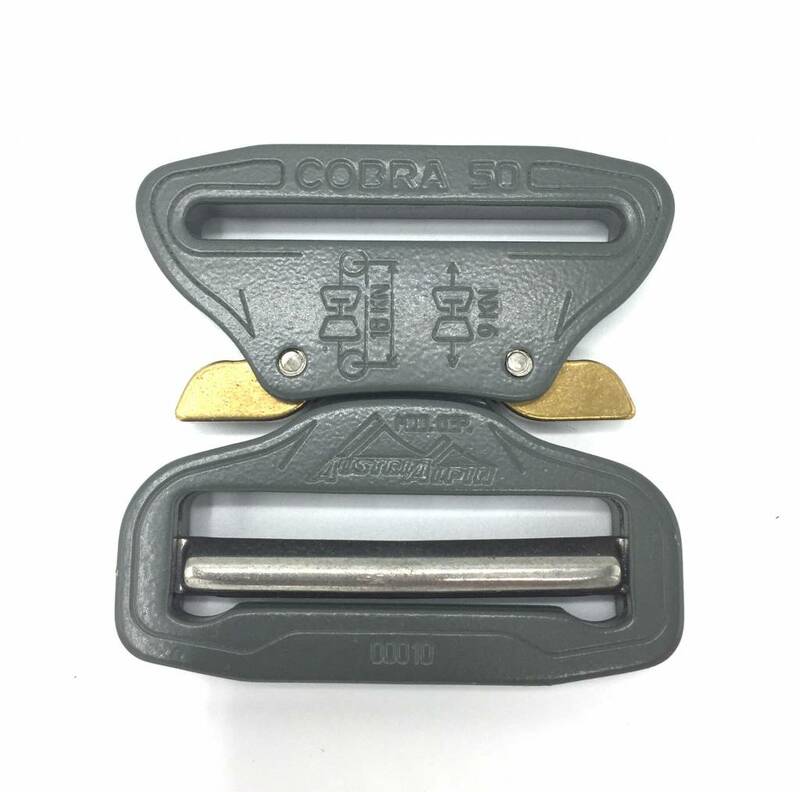 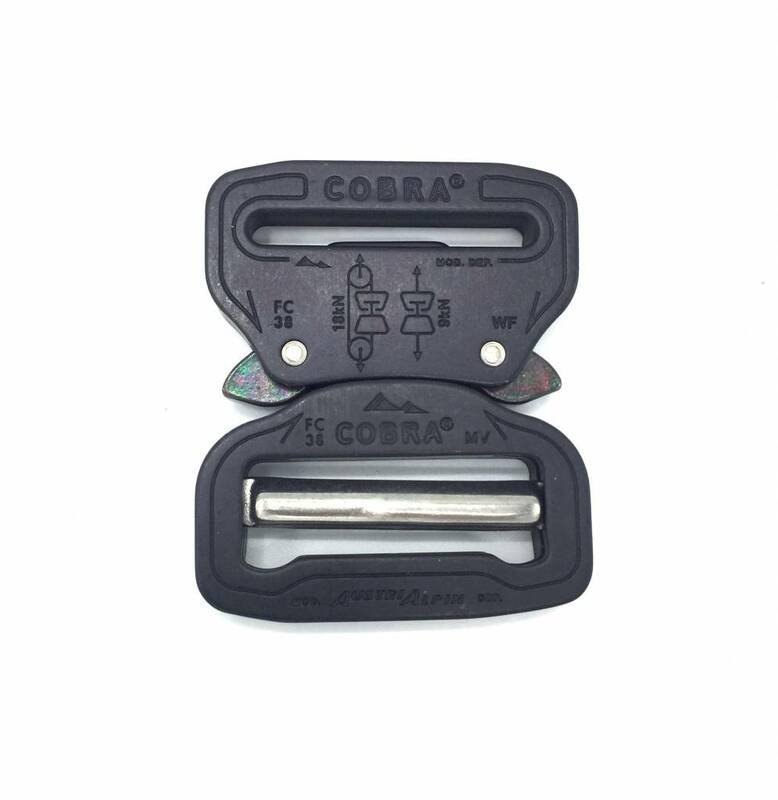 The cobra locking mechanism is patented and guarantees highest safety. 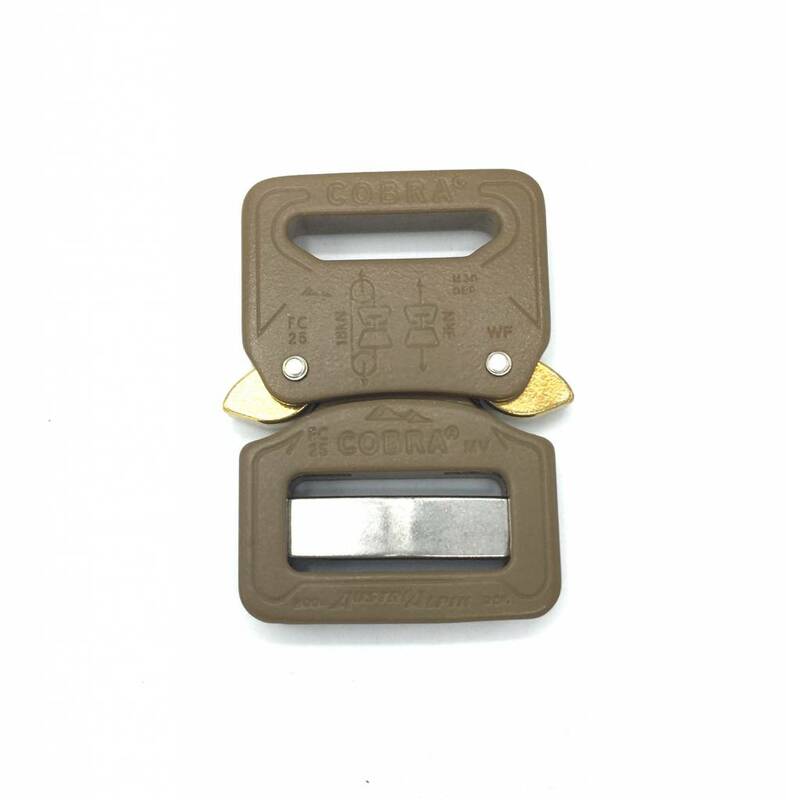 A one-sided opening of the lock is not possible even when under load. 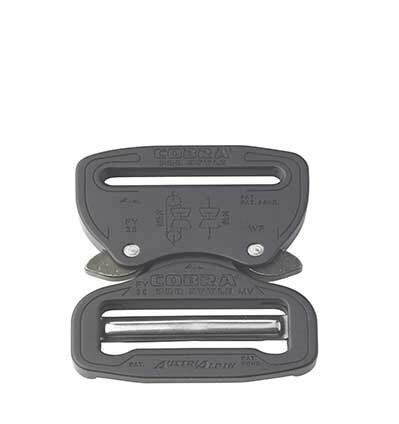 anodized in matte black, (red, blue, purple, light green, yellow, pink, and brown available in custom orders).